Japanese is the official language of the world's third strongest economy and is spoken by more than 122 million people. 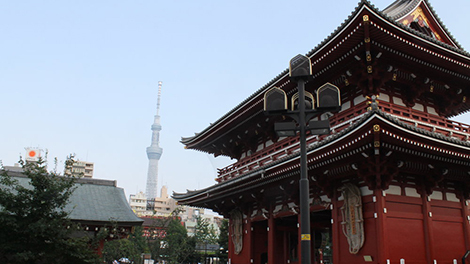 The Japanese major at Ohio State is offered by the Department of East Asian Languages and Literatures (DEALL), which is one of the largest programs of its kind in the United States. Through innovative teaching approaches, Japanese majors acquire a strong and well-rounded foundation in Japanese language, culture, literature and linguistics, including Classical Japanese. Students become conversant in many facets of Japanese humanities both past and present. Besides language, strengths include early, medieval and modern Japanese literature and culture, Japanese linguistics and popular culture. In addition, the Japanese program has a robust set of exchange programs with top-ranked universities in Japan. For more information visit the Department of East Asian Languages and Literatures website or view the university's major curriculum sheet. Have a question about Japanese or want more information? Let us know. The Japanese program is one of the top-ranked language pedagogy programs in the nation. Alumni of the undergraduate Japanese program serve in a wide range of industry, including marketing, banking, manufacturing, trade, entertainment, and game. Many go on to graduate programs to pursue such areas of study as history, business, anthropology, literature, linguistics and language pedagogy. A number of alumni also pursue careers in federal agencies. The Japanese major is offered by the Department of East Asian Languages and Literatures and includes courses in the language, culture, literature and linguistics of Japan. Students studying Japanese progress from an elementary working knowledge of the language to oral and written fluency. Once students are familiar with basic patterns of pronunciation and language structure, they are introduced gradually to the writing system and written Japanese. The rich body of Japanese literature is first studied in English translation; sustained study prepares students to read a variety of written genres in the original language. Japanese is applicable in a variety of settings in the United States and abroad. Mastery of Japanese allows students to consider careers in such fields as education, government, international trade, banking, print or electronic media, tourism, or art. Many employers are eager to hire graduates who are fluent in Japanese because their businesses involve Japanese speakers. Careers in which Japanese is the primary emphasis include teaching Japanese at all levels; interpreting and translating for the United Nations, government, or for private and public organizations; and a variety of positions in the travel and tourism industry at home or abroad such as flight attendant, travel agent, and tour guide. A survey of literature, art, religion, philosophy, film, and social institutions of the Japanese people from the earliest to the most recent times. Taught in English. Approaches tea from multiple perspectives, including, but not limited to, history, geography, agriculture, commerce, health, nutrition, arts and crafts, folklore, and transmission of everyday cultural practices. Representative masterpieces from Japan's literary tradition: fiction, poetry, drama, prose. Taught in English. Modern Japanese literature and media from late 19th century Western influences to contemporary writers; selected readings in English translation. JSO provides a meeting ground for Ohio State University Students, both Japanese and not, who are interested in the Japanese language and culture. It is a place for cultures to cross and for members to learn new things. They hold events, which showcase specific aspects of Japanese culture, helping to provide cultural awareness to the community. Japanese Conversation Club provides a platform for people who are interested in Japanese language and culture to communicate and exchange ideas. Everyone who wants to practice Japanese skill or wants to learn about Japanese culture are welcome to come. They meet every Friday afternoon. This is an international exchange program based on an agreement between The Ohio State University and Hokkaido University. The number of exchange students selected each year will vary based on a mutual agreement between the two universities. The Ohio State University - International Christian University (ICU) exchange program allows for the reciprocal exchange of undergraduate students from each institution for one academic year, September to June. This exchange program gives the participants from Ohio State the opportunity to experience Japanese culture and study the Japanese language in a supportive environment. This international exchange program is based on an agreement between The Ohio State University and the University of Tsukuba in Japan. One or two exchange students are selected each year to participate in this program. Students may register for any course offered.